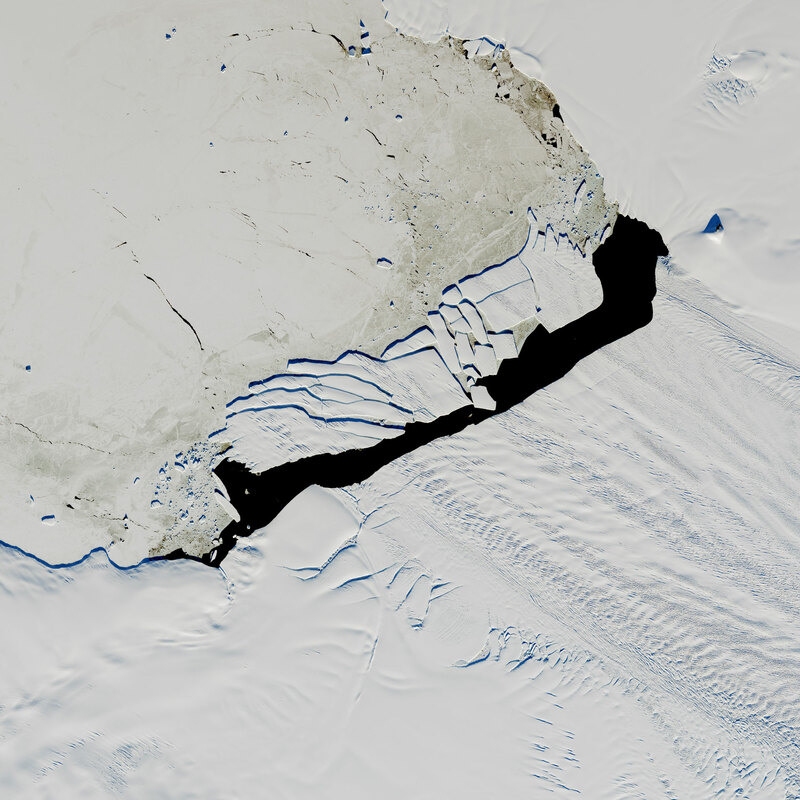 In September 2017, a new iceberg calved from Pine Island Glacier—one of the main outlets where the West Antarctic Ice Sheet flows into the ocean. Just weeks later, the berg named B-44 shattered into more than 20 fragments. On December 15, 2017, the Landsat 8 Earth-orbitng satellite took this image of the broken berg. An area of relatively warm water, known as a polyna, has kept the water ice free between the iceberg chunks and the glacier front. The polynya’s warm water could have caused the rapid breakup of B-44. This image was acquired near midnight local time. Based on parameters including the azimuth of the Sun and its elevation above the horizon, as well as the length of the shadows, it is estimated that the iceberg rises about 49 meters above the water line. That would put the total thickness of the berg—above and below the water surface—at about 315 meters. Be the first to comment on "NASA Image of an Iceberg from Pine Island Glacier"